lately I've been seeing a new crop of x-benches popping up with a more industrial vibe and really am considering this look - love it! there's something classic about this style yet the it's accessible and cool! 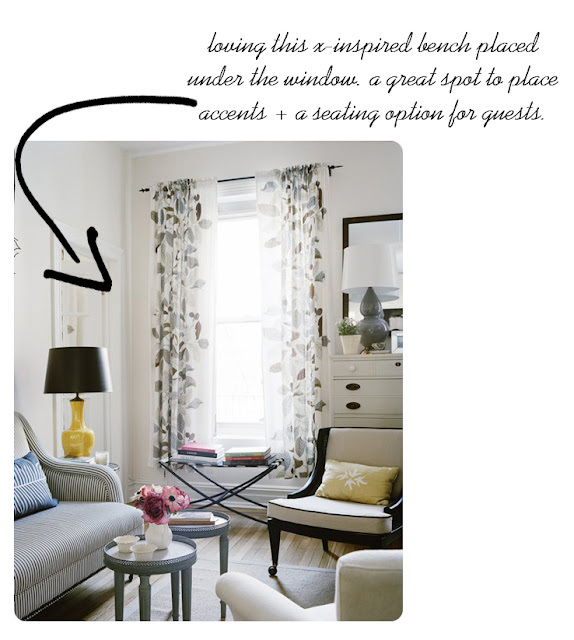 plus these pieces double, or even triple, in small spaces. 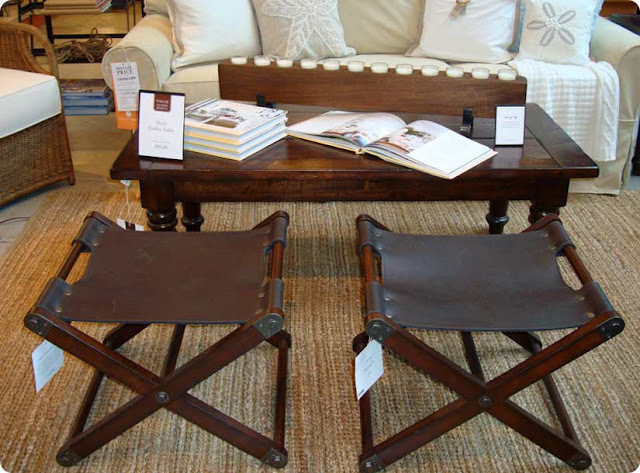 i am loving the x-inspired bench that I spotted recently on a blog I recently discovered, Good Bones, Great Spaces. I love the placement under the window and that it's a bench more then an ottoman. 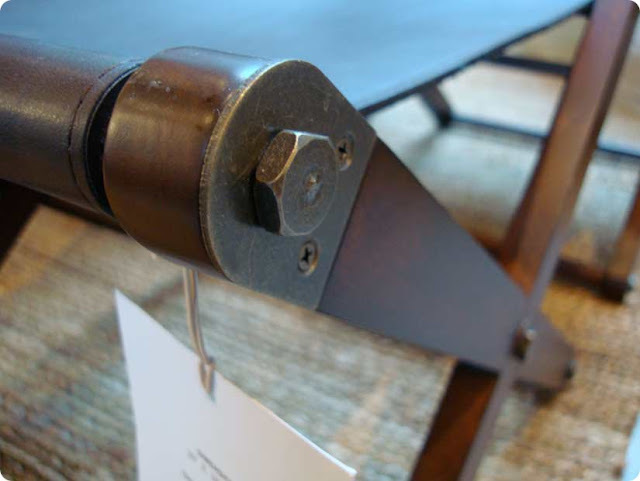 actually, one of my first Apartment Therapy posts was about x-inspired furniture. 2 Responses to "x-inspired bench"
I love them. I am crazy over the X's in design.